If the answer is yes then it is wise to get the property inspected and tested for mold and water damage before you close the sale. If you have had water damage it is advisable to get a mold inspection before mold removal begins. Every home sold should have a comprehensive mold inspection before handing over the keys. It can eliminate costly law suits and save a seller thousands of dollars in the future. Always ask your realtor if the property you are buying has had a mold inspection with air testing. A professional report should be available before escrow is closed. If you are not happy give the team at Knight Environmental Consulting a call and we can help. Remember hidden mold and water damage can cause a lot of financial headaches. Perhaps you have found mold in your rental apartment. It can be a difficult situation. Either the property owner will hire a mold inspector or you might have to. Either way Knight Environmental will give a honest and impartial assessment of your mold situation. We are experts at mediating between tenants and landlords and diffusing mold situations. 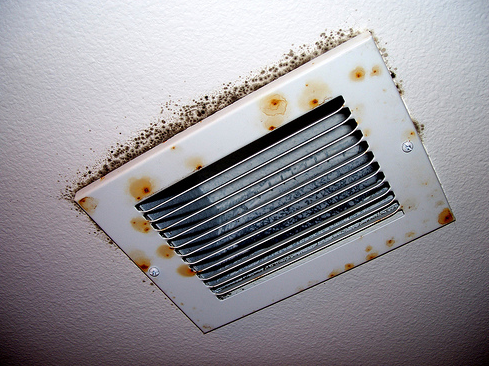 Call us on 1-858-999-6292 so we can assess the extent of your mold infestation. We put the health of our clients first. At Knight Environmental Consulting you are assigned an expert Microbiologist with a PhD or Masters degree. Your mold inspection team will forensically examine each accessible location of the property. Your mold scientist will be on time or early for the inspection. Mon-Sat 6am-9pm. 6 days a week. 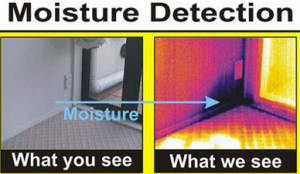 Moisture meter readings are taken on every wall, cabinet and surface around all lavatories, showers, appliances, and any suspect areas. Each residential or commercial inspection includes the search for mold growth, current water leaks and/or intrusion, evidence of prior incidents and potential future issues. 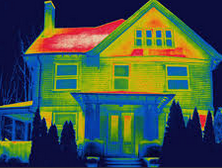 Knight uses very advanced thermography instrumentation to detect hidden water leaks. Clients can request for airborne allergy testing by sampling for common allergens. Pollen, spores, insect skeletons, pet hair, dust mites, human & pet skin fragments are captured and analyzed by the Microbiologist at your request. When the property inspection is complete the Microbiologist will present the mold inspection observations to you. Clients will then be offered mold testing only when it is necessary. The mold test samples are then expedited to the laboratory for analysis with rapid 24 hours turn around times. Knight’s inspectors can give you additional time than other mold inspection companies. Offering the client a superior service experience is our mission. Quality mold inspections are the result. That is why we are number one. At Knight Environmental Consulting we set the benchmark for mold inspections and air quality testing in California. We carefully inspect your property. So we are not free like some scam companies out there. Every customer receives a superior quality mold inspection at a fair price; giving you peace of mind. An easy to understand scientific report will be emailed to you. The mold allergy test results are easily combined with your official mold report for your healthcare professional. Your property will be be broken down into zones in the report with easy to read information about its air quality.